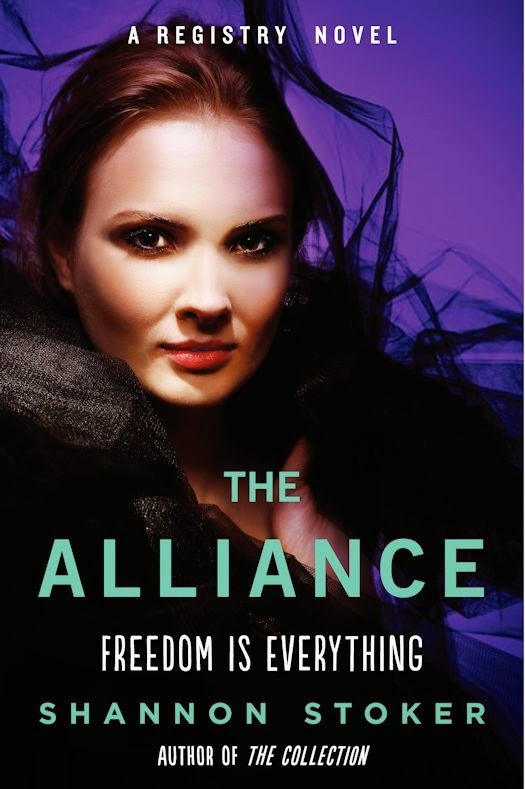 Please welcome Shannon Stoker to The Qwillery with an excerpt from The Alliance, which was published on September 2nd by William Morrow Paperbacks. Our enemy has been defeated and I am eager to return home. It has been three months since I have heard from Wallace and I hope he still wants to marry me when I arrive. I know he was scared about his fiancée heading to war, but once he sees my face I am certain all the old feelings will come flooding back. Lightning crashed and Mia slid along the floor of the boat, clawing at the floorboards, hoping to stop herself from slamming into the opposite side of the hull. Her efforts did little good and she braced for impact. Pain exploded through her right arm, but immediately the ship straightened itself out again and Mia landed on her left side with a thud. They had told her to stay down here for her safety, but she wasn’t doing a very good job of protecting herself from the effects of the storm. Another boom sounded from above and Mia couldn’t take her feelings of helplessness any longer. She forced herself off the ground and headed toward the small set of stairs that led up to the deck. The boat continued to wobble, but she made her way to the railing and gripped it tight. Filled with resolve, Mia did the only thing she’d been instructed not to: she climbed the stairs and reached for the handle, determined to offer her help in saving the ship and the rest of the crew from the storm. Little effort was needed to open the door. The wind pulled it and it started to drag Mia out of the cabin. She saw a wave crash against the deck and water rush at her feet. Not that the excess water would make much of a difference; the rain was coming down fast and Mia’s face felt like it was being pelted with pebbles instead of drops. She saw several people trying to reinforce tarps over the center of the deck. Mia forced the door closed behind her and went toward them. She recognized Andrew. He was bent over, holding the tarp in place. She leaned down next to him. “I want to help,” she yelled over the roaring storm. He moved his head toward her and even in the dark she could recognize the anger on his face. He pointed toward the door Mia had just come through. She shook her head. She reached down and grabbed the tarp from his hand. Another loud clap of thunder went off and Mia looked up just in time to see a wall of water ready to drop onto the deck. She raised her hands to protect her head and felt Andrew grab a hold of her wrist. The water hit and Mia fell back onto the wood. It felt like she was underwater and her body was being dragged away. Andrew tightened his grip and Mia was certain they were going overboard with the wave as it pulled back. Suddenly they stopped moving. She wasn’t sure which direction was up but if Andrew let go Mia thought she’d never see the surface again. The water rushed away and Mia felt its pull on her weaken. She opened her eyes and gasped for air. The boat was upright again and Mia was dangling off the side, hanging from Andrew’s arms. Mia tried to keep her grip on Andrew’s forearm, but he completely let go of her. Her skin was too wet, she was sliding down. She raised her eyes and tried to get Andrew to give her his free hand. She continued to grab at Andrew with her other hand, but he didn’t return her gesture. He looked down at her. His face wasn’t the bundle of nerves she expected. Instead his brown eyes held a vacant stare. In her confusion Mia let herself slip down. Her arms flailed in the air, but it was no use. She braced herself for the impact of the ice-cold water. The cold water never came. Mia’s eyes flashed open as she sucked in a large breath. She started to cough since her inhalation of air came as too much of a shock to her system. Mia felt a hand patting her back, trying to help her with the coughs. She turned, expecting to see Andrew, but instead Zack was behind her, handing over a bottle of water. She appreciated Zack’s presence. The tall, blond man had proved himself a worthy ally during Mia’s time with Affinity. She remembered when she first arrived in Guatemala at one of Affinity’s bases. It had looked so quaint and rustic, but appearances were deceiving and Mia quickly realized the group had an arsenal of electronics and people behind it. Before becoming acquainted with Affinity Mia never would have thought stopping the Registry possible, but that was the group’s core mission. Mia was proud to call herself a member and work toward that very goal. She looked out the window at the small airstrip. She was three hours from Affinity’s base but knew she would soon be farther than that when she arrived in France. “I can’t believe I fell asleep,” Mia said. The group had left the Affinity base at three a.m. They’d traveled south to the nearest airport, about three hours away. Even though that had interrupted Mia’s normal sleep schedule she’d thought her nerves were too rattled to rest. “I was hoping we’d have some time to talk before we left,” Zack said. Mia nodded. Zack had been born and raised in Affinity, while Mia had only been a member for a few weeks. Her time with the rebel group had been spent preparing for this mission, the only mission that mattered to Mia: infiltrating America and stopping the Registry and mandatory service. Going undercover as part of a diplomatic mission, Mia returns to America. But life there is more dangerous than ever as the walls grow ever taller, and the forgotten country faces its most ruthless leader yet, Grant Marsden . . . a shadow from Mia’s past. With the help of Andrew, Carter, and other members of the subversive group Affinity, she embarks on a perilous journey to defeat Grant, bring down the government, and destroy the Registry once and for all. Shannon Stoker lives in DeKalb, IL. 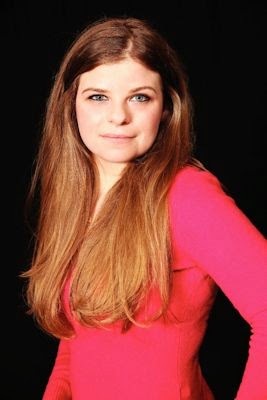 She received her undergraduate and law degree from Northern Illinois University where she now works as the Research Integrity Coordinator. It's not a stretch to say she's a die-hard Huskie fan! When she's not working or writing Shannon spends the majority of her time playing with her terrier mix Nucky or her husband. She loves watching horror movies, including those straight to DVD classics most people never heard of. If she wasn't an attorney or an author she would have been a beautician and is constantly bugging her friends to come over and let Shannon play with their hair.